- Edward Sydney "Eddie" Schwartz C.M. (born December 22, 1949) is a Canadian musician who had moderate success as a recording artist in the early 1980s, before becoming a successful songwriter, and record producer in the late 1980s and the 1990s. Schwartz was born in Toronto, Ontario, Canada, and graduated from Toronto's York University in 1976 as a music and English major. He began his musical career soon after playing guitar for Charity Brown's backing band and signed with Infinity Records for a solo contract in 1979. 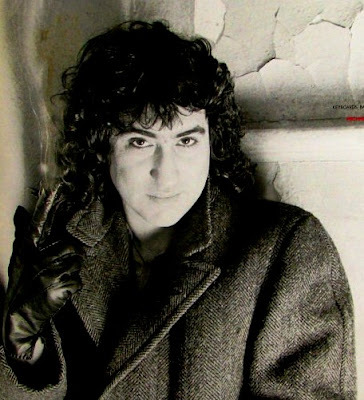 His self-titled debut album, Schwartz, followed in 1980, with A&M Records, as Infinity had gone bankrupt by then, and spawned his first Canadian hit, "Does a Fool Ever Learn". His next album, No Refuge, came out in 1981, and did well in Canada, as well as the US, placing in the Billboard 200 and spawning a U.S. and Canadian hit single, "All Our Tomorrows," (#28 in the U.S. Billboard Hot 100). A follow-up track from this album, "Over the Line" also crept into the Hot 100, peaking at #91. This single would be his last one to crack the U.S. charts to date. At least half of the songs on the No Refuge album have since been covered by other mainstream artists ("Good With Your Love," by Mickey Thomas on his 1981 Alive Alone album; "Tonight," by Amii Stewart on her 1982 I'm Gonna Get Your Love album; "Heart on Fire" by Honeymoon Suite on their 1984 self-titled debut album; and "All Our Tomorrows," by Joe Cocker on his 1987 Unchain My Heart album). 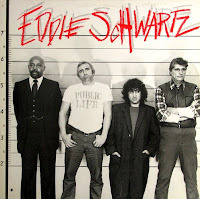 Schwartz's third and last album for a major record label, Public Life, came out two years later and featured another Canadian hit with "Strike." Also included on this album was the original recording of his composition, "Special Girl," which was a minor hit for him and became a bigger hit for the band, America. Although his earliest hit as a songwriter for other artists was Pat Benatar's 1980 single "Hit Me with Your Best Shot", Schwartz didn't focus significantly on producing and songwriting until the late 1980s. Since then he has produced artists of various genres including The Doobie Brothers, Paul Carrack, Rita Coolidge, Donna Summer, and Lawrence Gowan, and penned hits for Paul Carrack ("Don't Shed a Tear", "I Live By the Groove"), The Doobie Brothers ("The Doctor"), and Donna Summer ("Fascination"). Additionally, many songs he himself originally recorded/performed have been covered by other artists to great success. Examples include: "All Our Tomorrows" (recorded by Joe Cocker), "Does a Fool Ever Learn" (recorded by Helix), and "Special Girl" (covered by both America & Meat Loaf). He has won multiple BMI, Juno, and SOCAN awards. In 1995 he released an album, Tour de Schwartz, only in Canada, to generally good reviews. - Born in 1947, the Toronto native grew up playing in a number of bands while attending York University. A Music & English major, his first 'break' was as guitarist for the touring version of Charity Brown in after graduating in 1977. He ventured out on his own and in 1978 landed a deal as a writer for ATV Music. After peddling his demos to every conceivable label, he eventually landed a deal of his own with Infinity Records the next year and headed into the studios with producer Murray Klugman. But before the album could be released his label closed its doors. He instead got distribution from A & M and released his debut - simply titled SCHWARTZ in 1980. A virtual 'who's who', co-producer was Murray Krugman, and had a helping hand from the likes of Rick Derringer, Nona Hendryx and David Tyson (who'd worked with Alannah Myles). The first single was "Two Hearts Full Of Love", followed by "Does A Fool Ever Learn". Though neither made a particularly huge impact on the charts, Helix scored big with "Fool" on their breakout NO REST FOR THE WICKED album later that year. Meanwhile one of the demos he'd used to shop around for a solo deal ended up in the hands of the producers of Pat Benatar. Her 1981 version of the still-unrecorded "Hit Me With Your Best Shot" wond up being one of her biggest singles ever, selling over 2 million copies worldwide. His next full solo album was NO REFUGE, released in 1981. With three tracks co-written by David Tyson, the first single was "Heart On Fire", followed by "All Our Tomorrows" (recorded also by Joe Cocker) and "Over The Line". But despite Schwartz's version of "All Our Tomorrows" cracking Billboard's Top 30, solo success for the most part still eluded him. Nearly 2 full years would pass before his next album. PUBLIC LIFE was another well-crafted pop/AOR mix of slick production and tight melodies. With guest appearances by Rick Derringer, the album took on a more guitar-oriented 'rock' record than his previous solo work. The lead single was "Strike", backed with "I've Had Enough". Along with other tracks like "Special Girl" (covered by both America & Meatloaf later), " PRIVATE LIFE - BEST SHOTS also hit the shelves the same year. 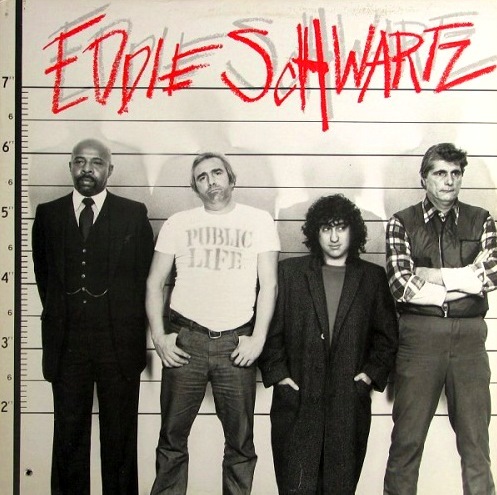 Basically a repackaging of PUBLIC LIFE, it also contained Schwartz's spin on songs best known by the artists who made them hits, not him - including "Hit Me With Your Best Shot" and "Does A Fool Ever Learn". 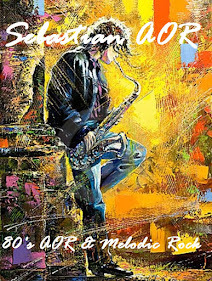 The latter part of the decade saw him focusing more on a production career, working with the likes of Donna Summer, Long John Baldry, Hall & Oates, Rita Coolidge Joe Cocker, The Doobie Brothers, Paul Carrack and many others - a trend which continued though the beginning of the 90's as well. It wouldn't be until '95 that Schwartz released a new disc. Mostly a collection of all of his biggest-selling songs, TOUR DE SCHWARTZ is the quintessential album - including "Best Shot", "All The Lovers In The World" (covered by Gowan) and "Don't Shed A Tear" (recorded by Paul Carrack). Guest appearances include Gowan, Alannah Myles and Marc Jordan among others. Though he released "Bourbon Street" as a single, yet again major chart success of his own eluded him.